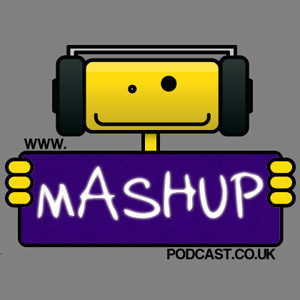 The term mash up came from the field of music. A musical mash up is a remix of two or more songs into a new piece of music. A Web mash up is a new application that is created by pulling together two or more complementary Web-based applications and/or data sources; for example, mapping a database of known child-molesters onto a map. Every time a new person is added (or removed) from the child molester database, their location is automatically added or removed from the map. Maps are popular platforms for mash ups. People have created dynamically updated maps showing traffic jams on their commute to work, crime incidents in their neighborhoods, all the public Wifi locations within a five-mile radius, new sightings of animal or plant species they care about, the locations of public bathrooms, the actual movement of buses along their routes, the impact of global warming on bird migrations. You simply combine a mapping service--like Google Earth, Yahoo! Maps or VirtualEarth--with any geo-coded data set, and you have an application that updates itself every time the data changes. This week, Matt Locke of BBC New Media, (see his earlier comment Matt Locke's Comment on Lead Users and Innovation ) and his team have been holding a Lead User Innovation Lab in Manchester, UK. Thanks to their blog, I've been watching the week unfold. The participants are teams of Lead Users from new media companies in Britain. Their goal: create new mash-ups/applications based on BBC content. Watching the BBC Innovation Labs in action is a great way to see customer co-design and innovation in action. Although I have only been lurking, I can attest to the fact, from my own personal experience, that the customer innovation workshop design Matt's team is using will work. They will get usable and truly innovative results. I recommend that you check out the action...BBC Innovation Labs The Manchester Innovation Lab is winding down this week. The Innovation Lab in London kicks off next week. What Fun! The story behind Lego Mindstorms is a classic example of outside innovation in action. Lego leveraged work that had been done by Seymour Papert and his leading grad students at MIT to design a “do it yourself” programmable robot for the retail market. Lego commercialized inventions that had been pioneered by these “lead users” (and tested in the classroom with kids and teachers). When Lego didn’t have enough funding to develop a Mac version of the product for the K-12 market, another lead user came to the rescue. Professor Chris Rogers from Tufts University designed the software for the educational market by building his ROBOLAB application on top of National Instruments’ LabVIEW virtual instrumentation software platform. Within two weeks after the retail product hit the market in 1998, adult hackers reverse-engineered the firmware and developed a number of additional software programs that could be used to program these robots. And, a small industry emerged of sensors and peripherals that could be added to these robots. Lego encouraged the customer-extensions to the product line, giving hackers a license to extend its software and firmware and encouraging a healthy ecosystem. After selling 1 million of these robotics kits, and sponsoring robotics competitions all over the world, when Lego was finally ready to product a next generation product, MINDSTORMS NXT, the company turned to its lead customers again. Lego recruited a small group of lead customers from the hacker community to consult with them on the design of the next generation product, and they followed the advice of Chris Rogers and switched to National Instruments’ LabVIEW software platform for the next generation product. There are (at least) three divergent schools of thought in literature and research about customer-led innovation. One school of thought says that customers and users can’t innovate because they don’t know what’s possible and they can’t even envision how their current way of doing things could be radically transformed. Another line of thinking says that it’s impossible to capture customers’ deep domain knowledge about what they want and need, so don’t even try. Instead give them tools that enable them to invent their own designs and solutions while at the same time availing themselves of your firm’s deep solution-space expertise (since the tools you provide let them access and avail themselves of your solutions). A third school relies on deep customer research--let’s call it ethnography--to capture customers’ real needs and context--from which to involve customers in the co-design of innovative new solutions and approaches. This third approach is the one taken by many (not all) entrepreneurs as they figure out what customer needs are and how to build a business around addressing that need. It’s also a good way to shift the culture of an existing organization from inside out to outside in. As I’ve been researching innovative companies that are taking an “outside in” approach, I’ve found a number that have done a great job of ethnography--really walking in their customers’ shoes. When it’s done well, this ethnography isn’t something that’s done by a market research organization. It’s something that product developers and designers and product managers and marketing executives and e-business executives get personally engaged in. You don’t do it once. You do it continuously. I love the story of how lead customers co-designed LEGO® MINDSTORMS NXTTM and how LEGO wound up selecting National Instruments’ LabView software as the foundation for its next-generation robotics design toolkit. This story includes so many of the design principles for outside (customer-led) innovation. In a nutshell, when LEGO® decided to produce a next-generation version of its MINDSTORMSTM robotics kit, the toy company did something that was highly counter-cultural. LEGO recruited lead customers to co-design the new product. While getting customers involved early in product design for a next-generation product might sound like standard practice to software firms (actually it isn’t! ), LEGO, like most toy companies, is extremely protective of its intellectual property. Yet it took the risk of recruiting and involving customers as co-designers early in its product development cycle--18 months before the product would be commercially available. The customers that Søren Lund, LEGO’s director of MINDSTORMS, recruited were among the most advanced users of MINDSTORMS. Each had been using MINDSTORMS since it was launched in 1998 and each had invented new ways to extend the functionality of the original product. They were all well-respected heroes among MINDSTORMS AFOLs (Adult Fans of LEGO). National Instruments’ LabView’s lead customers have also been actively extending the functionality of the LabView toolkit for the 20 years since its original introduction. In fact, 50 percent of each new LabView software release is comprised of modifications and extensions that customers have contributed. Both LEGO and National Instruments take advantage of the natural selection process in winnowing out lead customers from mainstream customers. They actively recruit and recognize the customers who have proved their innovativeness by designing new products and extensions and by sharing their inventions with others in the user community.